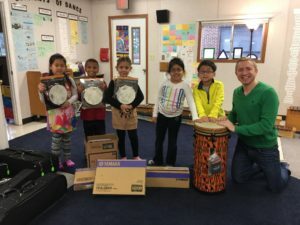 Happy young musicians at Annandale Terrace Elementary! We could not provide items like these without our donors! Thank you your giving spirit!.